Practical work is fundamental in science, as it is the link between the real world and scientific ideas. Successful whole-class practical work is hard. It requires students to know what they are doing and to have the necessary knowledge and skills to be successful. Whole-class practical work goes wrong when students are overwhelmed. We can help students to be successful in practical work by (i) establishing clear routines and (ii) ensuring intended learning is focused and builds on the prior knowledge and skills that students have developed in previous lessons. I watched a practical lesson the other day that got me thinking. Students were investigating how various surfaces had different amounts of friction e.g. wood, carpet and polystyrene. A dictionary was placed on the end of a wooden ramp. The ramp was lifted until the book started to slide. Students measured the height at which sliding occurred and repeated the experiment with different surfaces. The lesson worked and students made lots of progress. But why did it work? I began thinking about the elements of the lesson that ensured learning took place. Exactly what was the teacher doing? Students knew what they had to measure because they had first been asked to copy a results table from the board. Cleverly, though, the teacher had made some deliberate mistakes. Students had to add the units and columns for repeats and calculating an average. This didn’t require them to re-draw the table, just modify the one they had previously drawn. This made students engage with the results and made them aware of what exactly they needed to measure. I definitely remember giving endless instructions before starting any practical as a trainee teacher. By labouring details of health and safety and making sure I told them about every last detail I falsely believed the practical would go well. But they didn’t. Students were bored and restless and just wanted to get started. In this lesson the teacher told students only the key, salient points at the start, and without hesitation began the practical. Such urgency was unexpected and exciting. When issues arose, the class was stopped, a key instruction was given and students continued their work. Any researcher will tell you that good science ultimately relies on scientists doing the same procedure over and over again. You might think that getting students to perform the same skills over and over again bores them. It didn’t. Instead it gave students a sense of accomplishment and mastery that they clearly enjoyed, and the ability to work independently of the teacher. Students worked at different rates in this lesson. Those that finished early knew to pack away independently and move on to complete the next task written on the board. Time was not wasted waiting for all students to finish at the same time and students were not frustrated by having to rush their experiments. It was really clear from watching the students that lots of learning was taking place. Students were making mistakes measuring lengths, using incorrect units and orientating the ruler in the wrong way. However, they were correcting themselves through discussion with the teacher and peers. Time was available in the lesson to complete the task and make mistakes along the way. Avoid cramming practical lessons into short periods of time. If necessary, present the practical in the lesson before and allow it to be carried out during the following lesson. All students were busy in this practical and had clearly defined roles, either holding ramps, measuring distances or placing down different surfaces. For practical work to really motivate students and support good behaviour, each student needs a role in the experiment and a personal investment in the results. Do a different practical or modify it if equipment is limiting. Students had time to reflect on the results and discuss the science behind them. 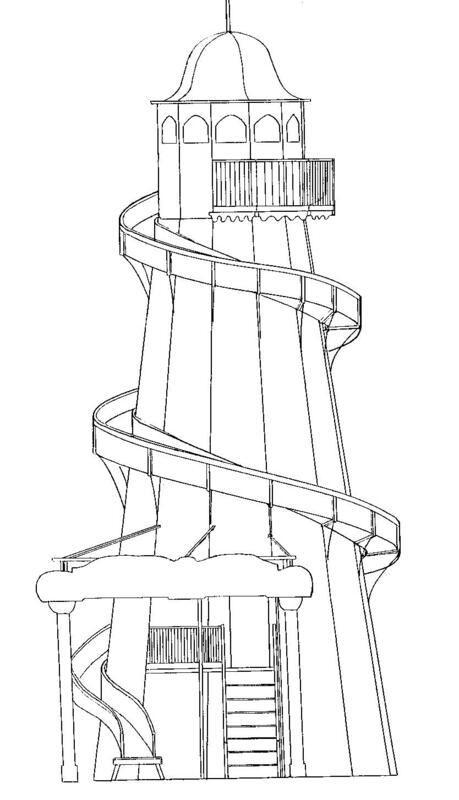 By referring back to the initial context and their prior knowledge – i.e the helter skelter – students were supported to make sense of their data and provide meaning to what they had accomplished. In this lesson, the wooden ramps were set up on the desks when students entered the classroom. This created a real sense of excitement and allowed more time to do science. Where possible, get equipment set-up before the lesson or place it around the classroom for students to collect. Avoid practicals with huge amounts of equipment, at least for large classes, and train students on how to move equipment around the lab so they can develop this key skill.